Fortunately (or not), Scott and Mark Kelly are still identical twins. The original headlines were misleading, a misunderstanding of early reports from yet unpublished studies comparing the twins during and after Scott Kelly’s year in space. Though his year in space may not have shuffled his DNA, it did provide a compelling backdrop to his memoir. Endurance: A Year in Space, a Lifetime of DIscovery, tells the story of that year. More, it tells the story of a man who challenged the odds and lived out his dreams. Scott Kelly would not have been anyone’s pick to be a success in high school. An indifferent student and occasional troublemaker, he was turned down by most colleges. He credits the change in his life and direction to a book: The Right Stuff by Tom Wolfe. Reading about the first astronauts gave him a life goal: become an astronaut. He transferred to a university where he could participate in Naval ROTC and devoted himself to becoming a student and a Navy pilot. Very often, successful people are portrayed as having been destined for success. Less often do we consider the obstacles and failures that come between us and our dreams. Scott Kelly’s memoir is honest, sometimes painfully so. He barely graduated from high school. His first year of college was so poor that he had to start again as a freshman when he transferred. He occasionally sabotaged his own opportunities by making poor choices, and more than once survived his own foolishness through luck or a timely intervention by a friend or family member rather than through his own efforts. That is not to say he did not deserve the success he achieved. But his story easily could have been one that ended badly, a life of missed opportunities and wasted potential. Most of us would not choose to read that story–but many of us have lived part of it ourselves. After becoming a Navy pilot, Kelly’s career advanced and he was eventually chosen to become a space shuttle pilot. Once the space shuttle program ended, he went on to become part of the International Space Station mission, and in this role participated in a year-long mission along with cosmonaut Mikhail “Misha” Kornienko. The goal of this mission was to study the long-term effects of space on the human body. Eventually, humans are likely to explore the solar system through manned missions. Even a mission to our closest planetary neighbor, Mars, would take more than a year in space before arriving. Given the changes human bodies experience during shorter times in space, it is still an unanswered question how well people would be able to function upon arriving at Mars. Kelly and Kornienko have proven that humans could survive a journey that long and could re-acclimate to gravity at the end of the trip. What remains uncertain still are the long-term effects of the journey. Hopefully the ongoing studies of these two men and others will prepare us for the next stage in human exploration. 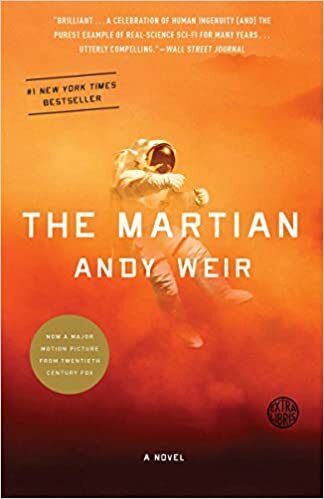 Covers the early period of the US space program, Project Mercury, the first operational manned space flight program based on interviews with astronauts, their wives, test pilots, and other key personnel. The story of leadership and teamwork necessary to survive the crossing of Antarctica in 1915 by explorer Ernest Shackleton and his 27 men. Lancing used survivor interviews and personal diaries to create this account. Scott Kelly took a his copy of Endurance to the space station.